Pontiac Mirrors are inspired by American indian tribes. 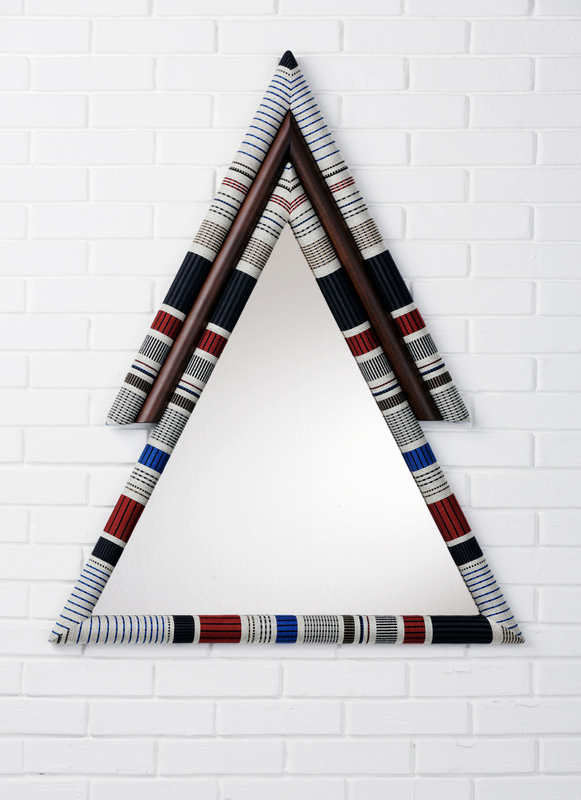 This first version has a more masculine tone to it with simple and strong colors and darker wood combined with the triangular shape and tinted gray mirror. 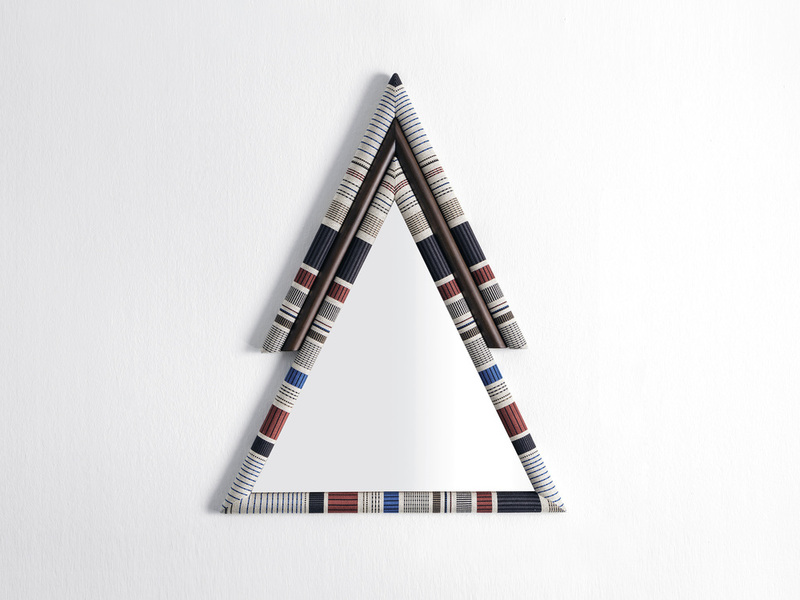 Paul Smith designed Kvadrat fabric has been cut symmetrically and handcrafted on wood and foam. 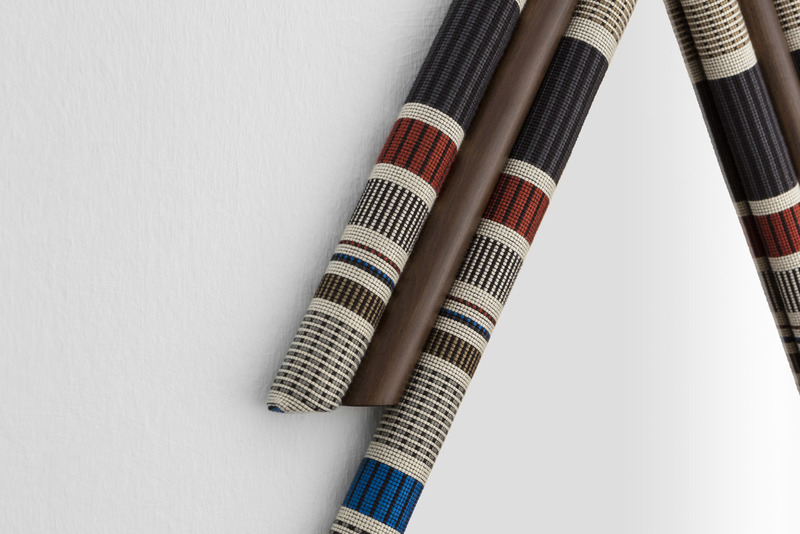 The native print and color combinations match with the american walnut in between to give an earthy feeling. 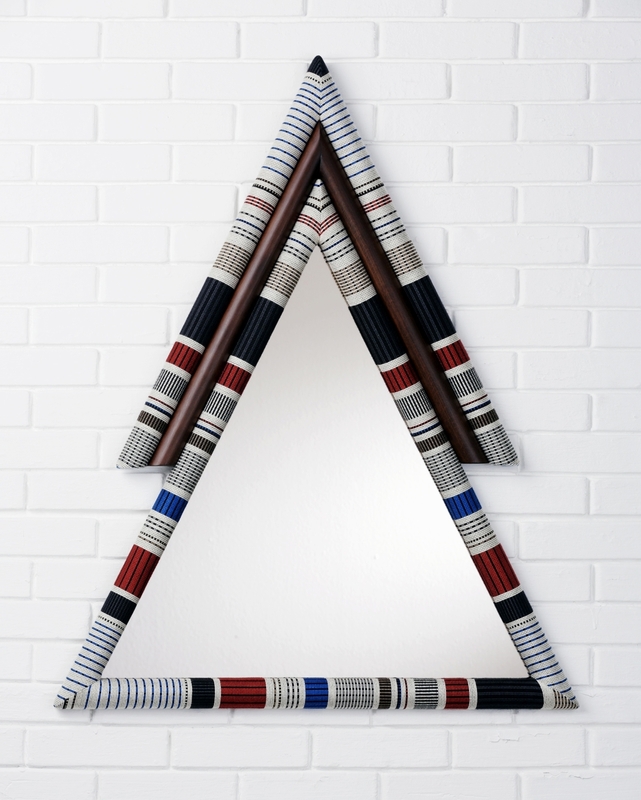 These unexpected unique mirrors can be customized as well. W 29" D 1,5" H 35"